How important is your psychology when it comes to your income? If you are not exuding confidence around clients or your self-talk is slightly off, chances are that your mindset is effecting your success. I got a lot of feedback from last week’s show where we talked about the number of different ways you could cast a larger net, engage and interact in more relevant ways with the people inside your database. Now remember, the point of that was very simple. I want you to cast a larger enough net, connect with as many people as you can, so you’re getting the percentage of business that’s going to occur from your databases whether it’s a direct transaction, 7 to 10% based upon the numbers, or the referrals that you desire. So the key is that you got to be in action. Quietly I received some emails, some text messages from really good people in the business that said, “Tom, I know I’m supposed to do it. I know I’m supposed to cast a large net. I know I’m supposed to take more action, but I just have days and sometimes weeks and sometimes months where I just don’t feel inspired to do it.” And it really got me thinking about what I wanted to share on this show. And the question is how much does your psychology impact your income? So think about it like this. Your psychology is what you think about; it’s what you say to yourself; it’s the way you move your body; it’s what you put your focus on. That’s what represents your psychology. And what we know is that your psychology massively impacts your income, your ability to be in action, talk to the number of people you need to talk to, and ultimately get the results you desire. Now, I don’t know if you’ve ever seen this before. If you haven’t, I hope especially if you’ve seen this before then you know how important this is. Many many many years ago my mentor taught me that your attitude is everything. Matter of fact, I remember seeing Zig Ziglar speak, my goodness, in like 1989 and Zig was so cool then. He’s like, “Cause, you know, you got to have the right attitude. You know, y’all need a checkup from the neck up.” Do you remember all those great Zig Ziglar lines? Well the challenge was when I first saw that message I remember thinking to myself, “Okay, you can’t really fake a good attitude.” I mean, you can try. You know, “I’m happy, I’m happy, I’m happy,” but everybody kind of knows that you’re full of it in that moment. They know because today we really pick up on how people feel, their energy, so they can put a smile on their face but you know they’re still an energy-sucking vampire. You know what I’m talking about. 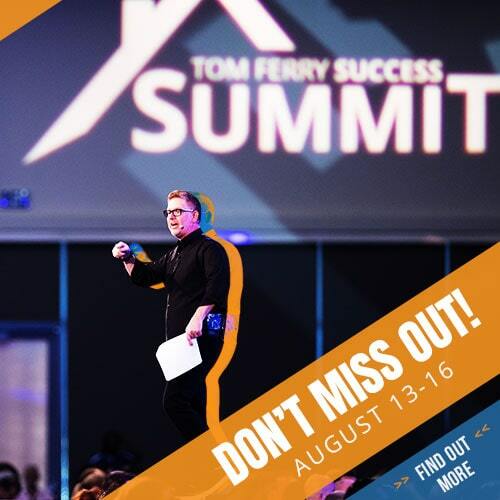 It wasn’t until I got introduced to one of my mentors, Bill Mitchell, who said, “Your attitude, Tom, is nothing more than the effect of these causes, the way you move your body, your self-talk, the things you say to yourself, about yourself and other people, and ultimately what you put your focus on,” and the moment he shared it, I got it. I said, “So I really can determine my attitude, my personal psychology, based upon the way I move my body, so we know if we move our body in a powerful way we’re more likely to take powerful action. But if my shoulders are slumped over and I’m kind of feeling like this and I’m kind of , everything about my physiology and my face is frowning. We know it kills your energy and it kills your performance. The other thing is your self-talk. I’m such a huge proponent of this. And I know there’s probably someone watching right now going, “Okay, here we go, Ferry. What are you going to have us do? Affirmations?” Well it’s certainly better than some of the things you might be saying to yourself on a regular basis. What we know is we have between 40,000 and 60,000 thoughts a day. And if you were to ever capture the number of times you said ouch, stop, don’t, I’m going to get hurt, I’m going to die, or I shouldn’t do this, you would be shocked by how much we talk ourselves out of doing the things we know we have to do to win not just in business but in life. So self-talk is critical, and then focus is nothing more than the questions you repeatedly ask yourself. It’s how you determine your focus. It’s the power of the right question that ultimately produces that attitude. Your attitude is just simply going to determine the kind of actions that you take. So if you want to be in the right action you got to have the right attitude, starting with your body, your self-talk, and your focus. When you take action, when you make those phone calls, when you knock on those doors, when you do the things you know you’re supposed to do to go out and win, you produce results. And the results simply reinforce your body, your self-talk, and your focus. So think about it like this. Does your income get impacted by your personal psychology? Does your income get impacted by the way you move your body? Think about it if you’re with a buyer or a seller. You and I both know confidence with your clients is everything, and if you’re walking around kind of in a sulky state they don’t want to buy from you. If your self-talk is slightly off around the customers it’s almost like they can smell it. It’s like sales BO. You with me on this? 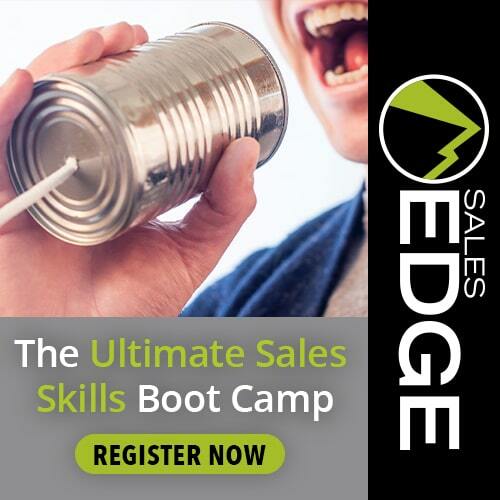 You don’t want to have sales BO because it’s what’s coming out of your mouth just doesn’t ooze confidence and enthusiasm and the right action for your customer to take. And then your focus. Wherever you put your focus the customer is going to follow. So all these things are critical to your success as a salesperson, as a sales leader, as a manager. So, all these things, attitude, actions, and results. So here’s what I want you to do. Here’s the simple actions I want you to take this week so you can go back to last’s week video, watch it again, get into the right state of mind, and cast a larger net and produce the kind of results you desire. 1) Get your body in motion and the mind will follow. We’ve all experienced this before where we said, “Tomorrow I really want to go to the gym.” And you know sometimes it just makes sense if you put your gym shoes right outside of the bed and you just get out of bed. The hard part is getting out of bed, but you know once you get your body in motion everything else follows, specifically that when you move your body in a powerful way it instantly impacts what’s going on up here. 2) The second step that I want you to take is to create for yourself a powerful mantra. You know, looking good, feeling good, I should be in Hollywood. I like one that I’ve been using for years that I taught my children, which goes like this: I now command my conscious and unconscious mind to give me the skills, the talent, the ability, the humor, the knowledge, whatever it takes to show these people, to get these people to take right actions starting right now, baby. Yes! And I know some of you right now are going, “All right, Ferry. It’s official. You’re a whackadoo.” But understand, it’s a performance-based world. If I’m in the right physical state, if I’m in the right emotional state, if my psychology is right I’m going to go take massive action when other people are going to hold back. Other people are going to be dealing with fear and anxiety and worry, but not me because I’m willing to do the little steps that give me massive confidence and energy. And yes, as I’m asking these questions I’m actually saying the answers out loud, because remember that impacts my psychology, it impacts everything, and I’m going to take more action. And then another great question is: Why is this action a must for me? You know, why is making the phone call a must for me? Why is making that follow-up call that I’m uncomfortable with a must for me? And the moment you answer the question your energy changes and you go out and you take massive action. How important is your psychology when it comes to your income? I’m going to tell you this, that if you’re watching this right now and you’re not satisfied with your income, I dare you, no I double dare you to go back through your calendar for the entire year and ask yourself: How many days were you on and how many days were you slightly off? 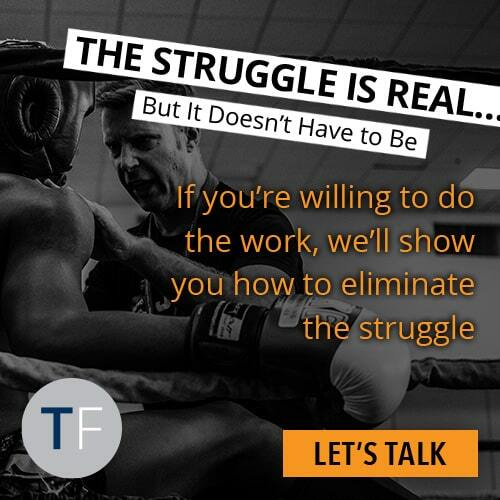 If you had more off days than on days, your income today and your income in 90 days is absolutely feeling that, and you could do something about it right now. You and I both know we can cast a larger net. 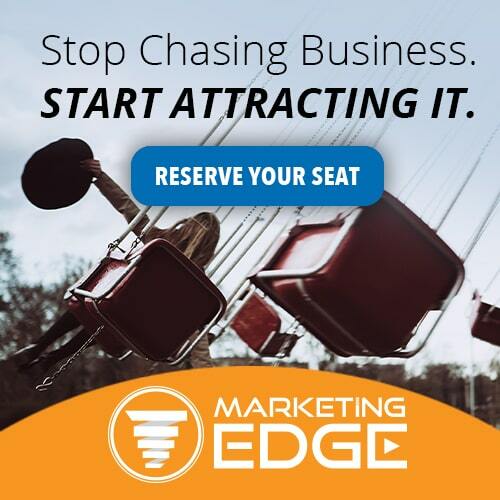 We could do all the right marketing in the world but if our personal psychology is wrong, our customers are going to sense that and we’re not going to get the business that we want. So, thanks so much for watching. As always, share it with a friend. Give me some feedback, whether it’s on Facebook, or right there on my YouTube channel, or via Twitter, or Instagram, because I love the comments. I like the feedback. Let me know how I can make this show even better for you. Again, thanks so much for watching. Remember always your strategy matters and now more than ever your passion rules!